Hi fella's... I am new to this forum and just bought a F-150, 2012, 4x4, 3:73, E-locker, Crew Cab, Ecoboost... I love the truck and that engine runs great! I was wanting to find a 12V power source that would turn on and off with the ignition so that I could have my GPS unit turn on & off with the truck. 1. 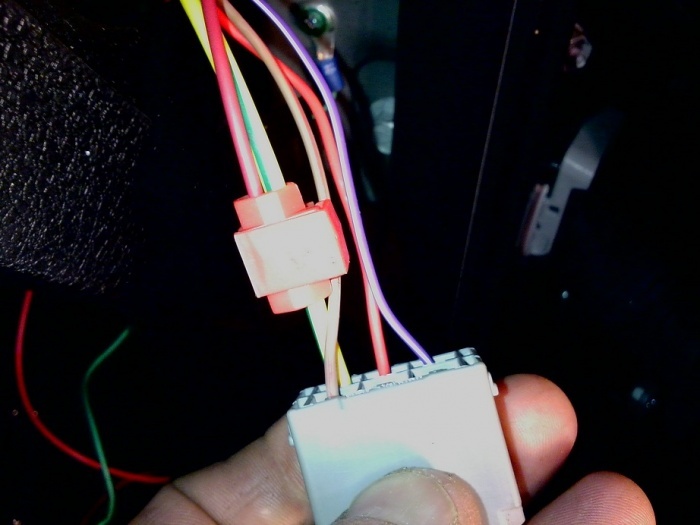 Bought a 12V socket from the local auto parts store that I could hardwire in to the system with a inline fuse. 2. 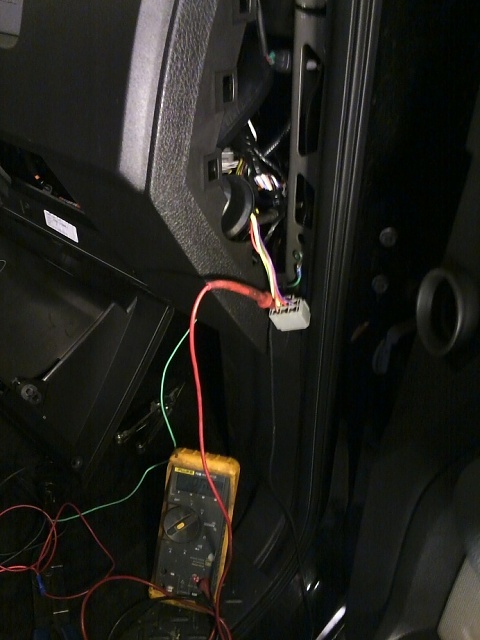 Opened the access panel on the passenger side of the dash so that I could probe the power connections for a good source. 3. Locate large grey connection with large green & yellow wire and use wire splice connector. 4. Attached positive wire to fused inline wire on the 12V socket kit. 5. Attach negative ground wire to good chassis ground. 6. 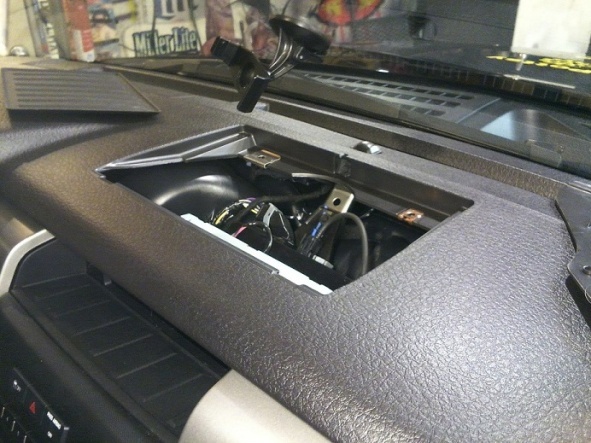 Open and pull out grove box and the open and pull top dash panel. 7. 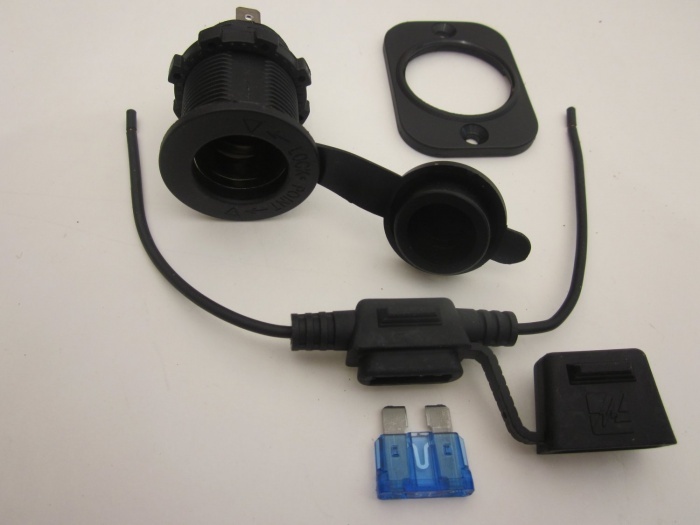 Plug GPS male plug into 12v socket and the snake wires up thru dash and out dash panel hole. Last edited by bbpfab; 12-27-2012 at 03:48 PM. Thank you for the step-by-step and photos. Info is power! A very helpful and needed mod that most people would like (whether they actually do the mod or not). I know this is a pretty old post and I hope you are still around this board... I am wondering how this has worked out for you and also what is this yellow and green wire supposed to power? I am looking to power an on board air compressor and I don't want to blow a fuse or screw something up if it draws too much at the same time I am using some other accessory. 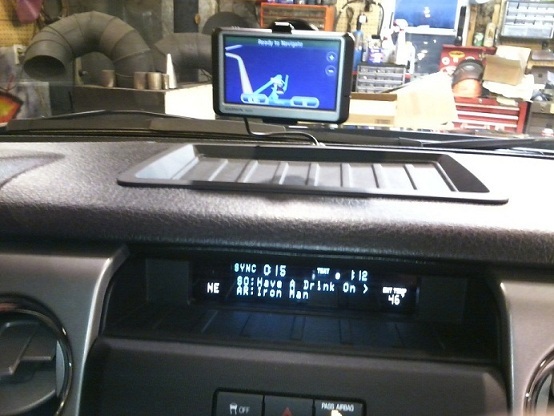 I am having a very hard time finding a good source for ignition only power on my 2012 FX4. 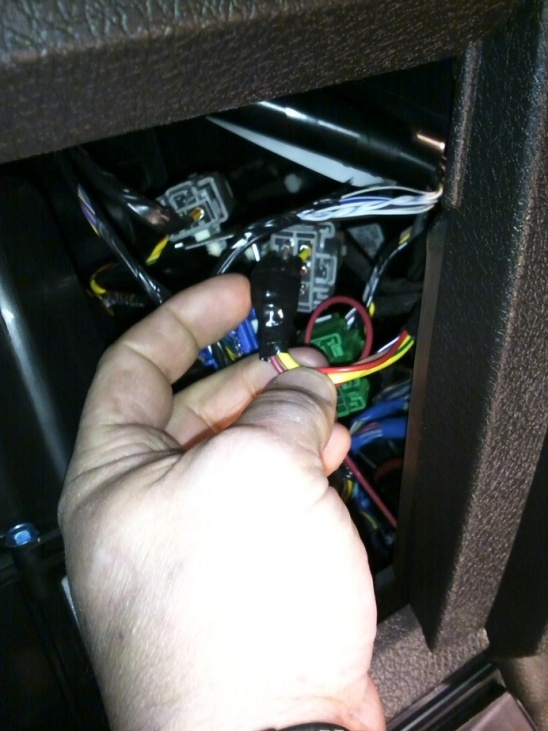 Get your power source from the battery or a junction terminal and then switch it with a 20A driving light relay that is controlled by a switched wire, like that white/green wire. Those relays are available at any auto parts store for a few dollars, and draw less than 1/5A. accessory power source "under the hood" ?? Quick Reply: 12V Power Source That Turns ON & OFF With The Ignition!